Sarah Rodriguez Pratt has almost two decades of experience writing and editing for different organizations, including large state agencies, small nonprofits, publishing companies, a major university, and one of the top-ranked hospitals in the country. She is well versed in communicating with wide, diverse audiences. She has a Bachelor’s degree in English from Harvard University, and a Master’s degree in Information Studies (formerly Library Science) from UT-Austin. 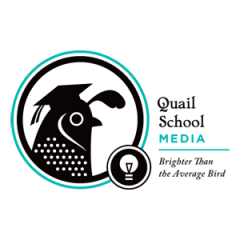 Whether your project is large or small, she and Quail School Media can help you capture the tone and message you want. Contact them today!